The Xtreme Commander IIIx diecast model will be equipped with a curb and gutter mold, trimmer, and a moveable conveyor belt. For the first time in the 50-year history of GOMACO Corporation, the company will be offering diecast models for sale. 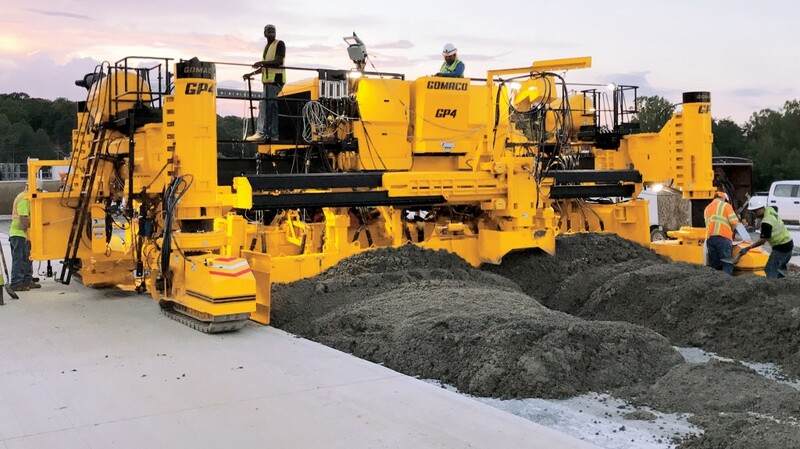 The first two models created for GOMACO will feature the Xtreme Commander IIIx three-track curb and gutter machine and the four-track GP4 slipform paver. Visit www.gomaco.com/models and register to be alerted when the 1:32 scale GOMACO models are available for sale, which is expected to be this Fall. Quantities will be limited. The Xtreme Commander IIIx diecast model will be equipped with a curb and gutter mold, trimmer, and a moveable conveyor belt. Just like the actual curb and gutter machine, the model will have a front leg that swings, a right-front telescoping leg, and a sliding rear leg to position all three of the tracks. The tracks travel, are moveable, and turn to slipform a tight radius. The approximate size of the Commander IIIx diecast model will be 10.55 inches (268 mm) long, 3.86 inches (98 mm) wide and 4.49 inches (114 mm) high. The estimated price is $163.00 USD. The new diecast model of GOMACO's four-track GP4 slipform paver will feature a 5400 series mold with a detachable spreader plow and auger/strike-off mold. The spreader plow will move laterally, and all four tracks travel, are moveable, and pivot to put the model into transport mode. The approximate size of the GP4 diecast model will be 10.43 inches (265 mm) long, 12.83 inches (326 mm) wide and 5.82 inches (148 mm) high. The estimated price is $198.00 USD.